Rejuvenate your exhausted soul with the flavourful Evergreen Jar Candles. The shape and the exterior of the candle are sure to grab everyone’s eyes while brightening up your life and soul like none other. Place it on your bedside table and rekindle the romance with your partner. The fragrance is sure to take you into the dense Amazon wild. Calm your nerves and energize yourself for the proceeding hassling week. 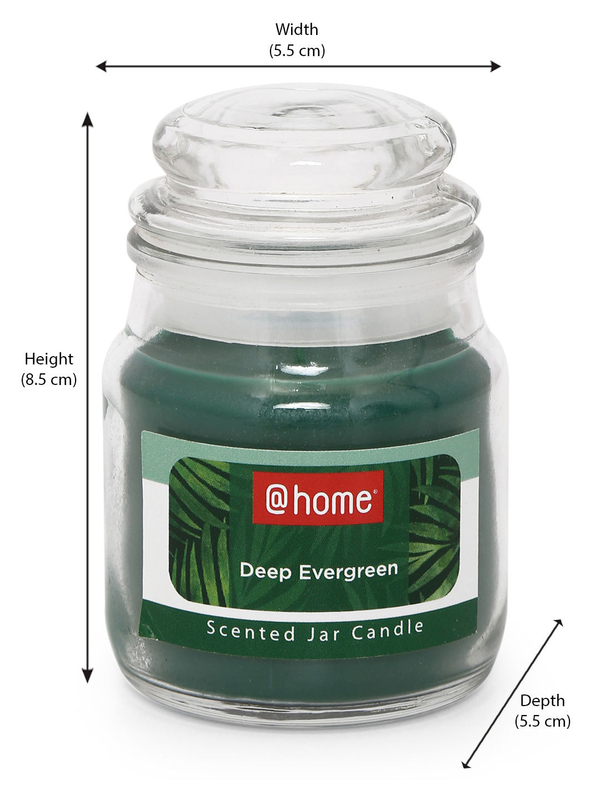 The Evergreen Deep Jar Candle comes in a set of two, driving flavourful aroma all across the horizon.